I don't know about you, but I'm in a rut. Like clockwork, this happens every year mid-summer. I get the travel bug and start feeling sorry for myself. Why must I go to work 40 hours a week? Why can't I live near a beach? Why can't I be one of those bloggers that spends their days/weeks traveling, discovering new foods, and attempting to recreate said foods in their own kitchens at home? This is the conversation I have with myself every year. Seriously though, being an adult is so overrated. In a perfect world I'd stop paying bills and spend all my money eating cheese and drinking wine in Paris and/or learning how to make the perfect pizza in Italy. ***Note: Make sure your instant chocolate pudding is 3.9 ounces! The sugar free packets at my store were only half that, so you can either get two of those or one of the regular! Pop six cups of popcorn. To do this, I used a little over 1/2 a cup of Trader Joe's organic kernels, 2-3 tbsp vegetable oil, and a dash of sea salt. Heat slowly over medium heat until first kernel pops. Cover quickly and move the pot back and forth over the heat until popping ceases. Pour popcorn in a bowl and set aside. 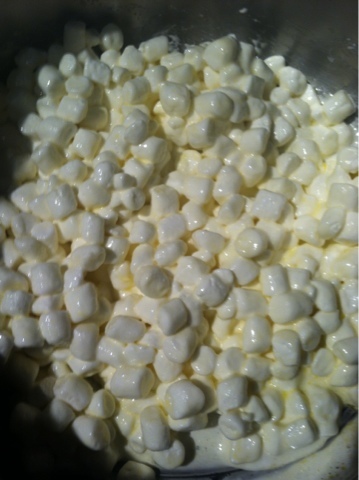 In a large pot, melt butter and add bag of mini marshmallows. Slowly heat on low and stir until marshmallows are melted and smooth. 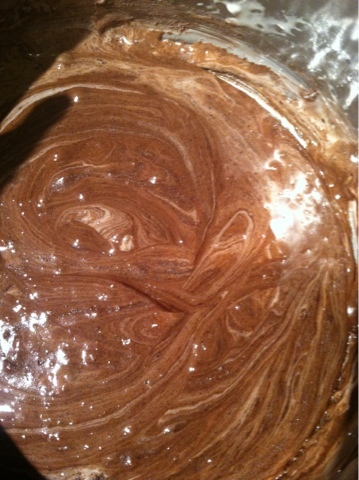 Add packet of chocolate pudding mix. 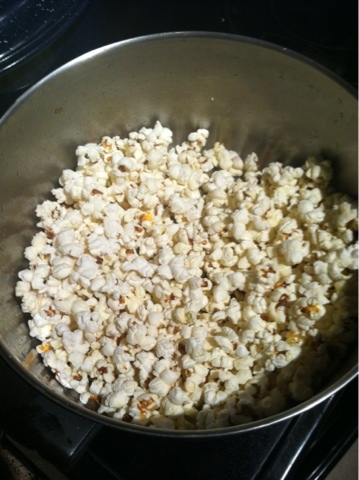 Add popcorn and graham cracker cereal to the pot, and slowly stir to incorporate. Be careful not to crush the popcorn too much! Spray a little cooking spray on your hands, and form the balls. Put them in fridge for 20-30 minutes to cool. I found them to be a little too stiff after 30 minutes in the fridge, so I stored them in a Tupperware container on the counter. At room temperature they are chewy and delicious! 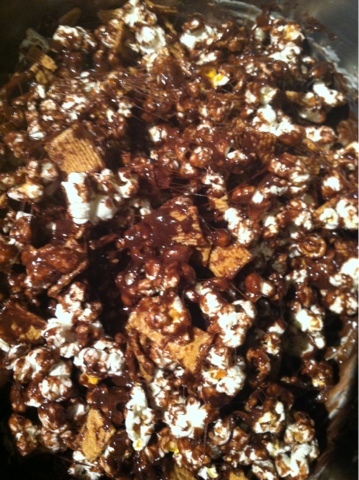 And coincidentally taste a lot like a s'more...if s'mores had popcorn in them. 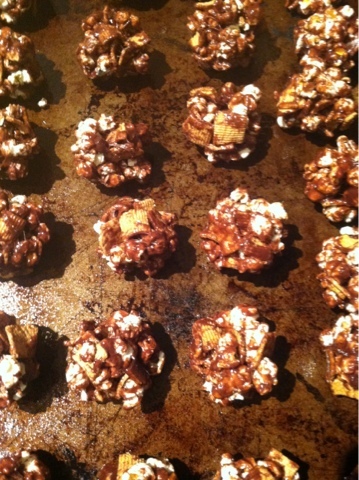 I made these on a particularly stormy Friday night, and Joe and I ate them curled up on the couch watching Warm Bodies. The perfect movie night snack! Side note: Warm Bodies was actually really good. We love us a good zombie movie. Please tell me I'm not the only one that thinks chocolate is the answer.